Every client is unique. You deserve a personal injury attorney who will take the time to learn your story and tell it persuasively. We provide small town care but get big city results. We work hard to get to know our clients. This helps us more effectively tell their stories and achieve outstanding results. $4.4 Million Dollar Jury Verdict in Snohomish County March 2019. The insurance company offered $300,000. We recognized our clients’ losses were more than wage loss and medical expenses. The real human losses were worth much more. $1.1 Million Dollar Jury Verdict in King County February 2018. The insurance company offered $65,000. They said our client’s claim had little value because he had been injured subsequently. We showed the jury how his original injury caused him to re-injure himself at work and that he should not continue to work in a physically demanding role. — it’s understood that trust makes it possible to communicate in an open and straightforward manner, which allows us to truly understand the personal harm that was done, both physically and emotionally. As a result, we can tell our client’s story truthfully and powerfully to an insurance company, judge or jury. Our clients are often surprised by the unique methods we use to discover how their harms have impacted their lives and the lives of their loved ones. We use cutting edge methods, but are located far from Seattle. We have proven that this approach works to get great settlements and great results in the courtroom if the insurance company refuses to settle. Come up to Arlington. It’s an easy drive and the results are worth the trip. Truth never harms a just cause. When it comes to representing injured people there is no more powerful statement. We believe that the secret to our success has been the courage to follow the truth and not back down. We follow the truth to fully understand our client’s story. Once we understand our client’s entire story; where they came from, what they were like before they are injured, and the circumstances they face as a result of the injury we can then tell their story in a powerful truthful manner. Because absolute truth is very powerful. Sometimes the truth will take us to places our clients may not want us to go. However, once they understand that the only way to achieve full justice is to trust and be open with all the facts they always change their minds. It is empowering to have nothing to hide and our clients realize this. We also insist on the truth from the other side. We are bulldogs with the truth and we demand that insurance companies, their lawyers and their hired experts tell the truth. When they fail to tell the truth we expose them. 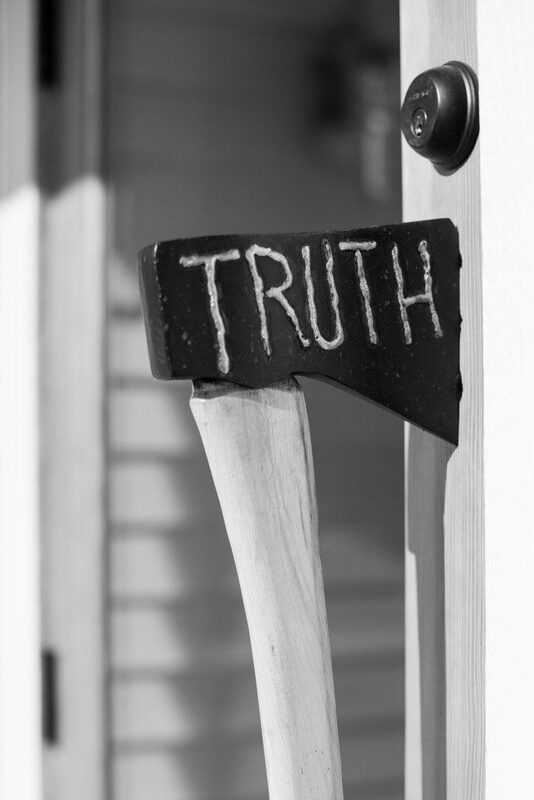 Truth is the building block for story. Story is what we, your Personal Injury Attorney, will use, to show the jury, judge, or insurance company the plight of our client. Most of our cases settle. However, the cases that do not settle typically end up in a jury trial. We work hard to get to know our clients and that causes us to genuinely care for them. We make sure that we are not blinded by our caring by focus grouping cases with unbiased people in our community. They help guide us so that we understand the questions and concerns the jury may have about our client and the case. That way we anticipate the jury’s concerns and questions to make our story solid. Our approach using truth and story has a long record of success.